Find a Great Escape in this 2016 Ford This Season! At the turn of the century, a minor revolution in automotive design produced the first generation of compact crossovers. A significant portion of vehicles on the road today owe their creation to this time and the Ford Escape was among the first of these. The Escape has undergone several revisions since the first model rolled off the assembly line in 2000 and the 2016 Ford Escape stands out among other crossovers of its model year. With an angular profile and sleek lines, the Escape is head and shoulders above its crossover peers, while its innovative Sync 3 multimedia infotainment system ensures it remains technologically superior. The 2016 Escape isn’t just looks and tech though, it packs some serious punch under the hood as well. An available turbocharged 2.0-liter four-cylinder engine can deliver up to 231 horsepower, capable of launching the Escape at a moment’s notice. Additionally, expansive cargo space and an intelligent layout ensure the Escape is ready to handle any situation with ease. 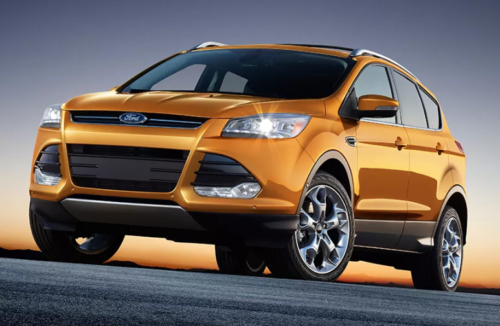 The 2016 Ford Escape is a perfect blend of tech and performance, offering substantive value to drivers while remaining consistently affordable. All in all, the 2016 Escape is in a league of its own. Yonkers Automall is a dealer of pre-owned cars and SUV’s, with over 50 years of sales experience. Through our extensive network of new and used dealerships throughout the region, we are able to provide our customers with superior prices and service. Serving Westchester County and beyond, we invite you to visit our showroom at 1716 Central Park Avenue in Yonkers. We look forward to serving you!